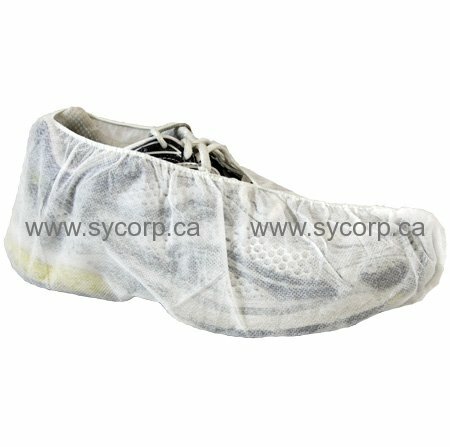 Polypropylene Shoe Covers are made of 100% spunbond polypropylene. This non-woven fabric helps filter particulates for contamination control in critical environments. The Regular Sole Shoe Covers are available in universal or extra large sizes with comfortable elastic ankles To fit over most shoes. Skid-Free Soles are available for greater traction and improved safety.